At home I use Windows Media Center available on Windows 7. It’s a great program but it doesn’t play all the video codecs and file types that I have in my library. Even advanced codec packs like sharks “Windows 7 codecs” do not always solve this problem. To the rescue comes VLC . A media player that can handle almost any media file you throw at it. When using VLC however, I’m no longer able to use my Media Center Remote Control. I decided to try and build an application to handle this, without incorporating this functionality into VLC, but using VLC’s excellent RC interface. In short it allows you to control a running VLC instance by communicating with VLC’s built-in TCP-server. UPDATE: The latest version includes a setting to start minimized. Copy the file “mceRemote2VLC.s3db” located in the users profile dir (eg “C:\Users\arend\AppData\Roaming\mceRemote2VLC\mceRemote2VLC.s3db”) AppData is a hidden folder so you might have to make Explorer show hidden files. Backup this file before installing the new version. Uninstall mceRemoteVLC , update to the latest version and copy this file back to its original location, overwriting the newly installed file. You don’t seem to know EventGhost – give it a try, you will love it. I did however have a look at EventGhost. According the their website they don’t support Windows 7 x64, and judging related forum posts this seems to be true. Update: It does work on Win7 X64. Will try this evening, ty for sharing! I’ve a ACER mce integrated MCE receiver (CIR) in my laptop with ACER remote control. Also, it will work when right click on media file (*.avi) and use the “play with VLC” option? I’m afraid your remote might not be supported. The program only detects receivers in the list provided, it specifically checks for the deviceid located in the file C:\Program Files (x86)\mceRemote2vlc\eHome Infrared Transceiver List XP.xml. A nice standalone exe to list all usb devices with lot’s of details. There is a small chance that adding your device is enough to get going. If so please provide me with this new line so I can add it to the list. Save and your good to go. also if my ir recever is built-in in the laptop? in my case it isn’t an usb device. Hmm, in that case it wont work. I will have a look into this, since I have an acer laptop myself with an IR receiver, but don’t hold your breath..
ok, ty as well! at the moment i solved with 3rd party mentioned, i will follow your upgrade! I’m trying with Videomate k300.VLC running. When press any button on remote, button pressed screen is filling(mute, volumeup,volumedown…) but don’t control VLC. VLC connection status=offline on mceRemote2vlc. thanks for putting in the effort to get this working, I have installed as per instructions and it is working but only for the first command, after that it sees the command in your app but does not make it to vlc? set up is windows 7 32bit. Appreciate any ideas. Hi, i have a question about your programm. I get the Decive status to “connected” and the VLC connecting status to connected, too. All Pressed Buttons of My Haupauge MCE Remote are recognized but the only button which was send to VLC ist the play button. And it will only be sent once at the beginning. Do you have an idea whats wrong, or what i can do to get it to work properly. Alas, it doesn’t appear to work in XP. That is, assuming that the spaces are supposed to be there before the double hyphens. I entered it under Conrol Interfaces > Main Intyerfaces > RC, which is what I assume you intended for us to do. I also checked the box for it not to show the DOS box. Sorry for the late reply, I was not being notified about the new comments. I updated the installer, please uninstall the old version first. Billkwando: Did you enter 127.0.0.1:8765 in the configuration menu ? You also can check if VLC is running with the RC interface by using putty, enter IP=127.0.0.1 and port number 8765, select RAW as the connection type, then click Open. If a file is currently playing in VLC, typing “pause” without the quotes should pause the current track. Here’s a short video I made showing the steps I’m doing in case I’m doing it wrong. Everything seems to be working fine but it’s not connecting to VLC. You must restart VLC for this setting to take effect. Also, please install the latest and greatest version I uploaded today! I can’t see in the video if you selected the checkbox “Remote control interface”, but the “TCP command input” field should not state “vlc –rc-host=127.0.0.1:8765 –rc-quiet” as this is used to start VLC from the command prompt, just use “127.0.0.1:8765” without the quotes. Hmss, the VLC clearly is not activating the RC interface. Did you change the entry from “vlc –rc-host=127.0.0.1:8765 –rc-quiet” to “127.0.0.1:8765″ ? Are you sure you checked the “Remote control interface” check box? For debug purposes, leave the “Do not open DOS command box interface” check box unchecked. If you don’t see this dos box, something is wrong. The big dos window popped up and I could play/pause/stop, but then I tried to check the box so the window wouldn’t pop up, and it stopped responding after that. I closed and reopened and rehecked the box, and closed and reopened again and still no dice. What version of VLC are you running ? I’m using VLC 1.0.5. Don’t know if it has anything to do with it. 1.0.5 “Goldeneye”, it says. The commands still pop up in your dos window, it just doesn’t do anything in teh VLC. Thanks for all the super-quick responses! I followed your steps exactly, but still not registering. Still nothing. I gather I need to get version 1.0.5 Goldeneye? What type of remote do you have ? The newest version works great! Thanks!!!! First the good news, all works as expected. Now the bad news. The buttons from the remote you have are nowhere near enough. As I play many real DVD’s I’d like the normal menu and Audio/Subtitle controls etc accessible. I think the best way would be a simple interface that has as dropdown list all VLC remote commands available and a simple “learn button” aehhhhm, button, so in your interface I could simply select (for arguments sake) “Cycle Subtitle Track” and then press the MCE Remote button I want this to map to (eg Blue in my case). I also don’t mind having drop down liasts for button and action, but rather than have you try to implement each whim of each user, just give them the tools? Possible? Thank you, and I think you are right. It would make a lot more sense to create your own mapping. I hope to implement this in the next version. I played a bit more with your program. It already recognises all MCE Buttons correctly (by name), so that side is already covered. Adding the complete MCE Mapping should be no big deal. If you provide a config file (.ini or .xml) to store the settings I’ll produce and then email you my complete mappings for using the MCE remote with VLC including subtitle/audiotrack switching and all DVD Menu functions etc. This stuff is especially of interest to all the Anime Fan faction, as many of the MKV files retain otriginal DVD navigation as well as mutiple sound/subtitle tracks. Hi there. The program works great except for one thing. When I press the Fwd (Fast Forward) button, instead of jumping forward, it just reduces the play speed by half. Am I doing something wrong or is it just a bug? Just letting you know that’s the only issue I’m having. Other than that, great work on the program! I know, the mapping is far from ready. Please install the update I will post later today. I have included a learn option, using a sqlite backend. I know this is less accessible but it will suffice for now. I will post this update somewhere during the day. That is great news. Will try out as soon as posted. Can i add my own commands or modify existing commands? Just trying download, I’m getting “not found” (404) on the new file. Somehow I am still getting 404. Could you possibly e-mail the file to me? ThatX for the file, and yes, I did refresh the page, but perhaps there is a cache at the ISP or within the great firewall of china that did not update. Anyway, I installed it and set it up to a basic level. I still have work to do with some mappings, but I have now got aspect ratio and subtitle as well as audio track switching done. Works splendidly. Once I am finished (probably past the WE) I’ll send you the file with my mappings to include in the setup (I assume it is mceRemote2VLC.s3db), the aim is to sensibly map any MCE Remote key that could be of use in a “DVD-Player”. Then Users can change the default mappings to their hearts content. The “Down” button is missing in the sqlite database. I will update this in the installer when Sir Shagsalot has completed the DVD-style mappings. For now please use the link next to the installer download. Leave it to me to get it wrong. I don’t fully understand the list of commands. I (of course) tried to program the subtitle button first. I tried just “strack” (I don’t understand what the [X] means) and I tried “strack English” assuming the [X] was a variable. Both resulted in the VLC preferences box opening and covering the screen. If it was in fullscreen, nothing happened. Use “key key-subtitle-track” as the command for your subtitle button. This will toggle the available subtitle tracks. Sir Shagsalot posted a link to all the available hotkey options. Of course this means we have to issue something like “strack 5”, this tells us “key-subtitle-track” is an easier solution. So I’d have to have a command for each potential subtitle track, rather than being able to just toggle throiugh them like on a DVD player? Like, 4 or 5 buttons set up for subs (assuming that my videos don’t all have the same number of sub tracks, the english track might not always be 5, for example). no no, just enter “key key-subtitle-track” as the subtitle toggle command, that’s all. For the hackers in the crowd, I am sure you are having fun, let me in on any neat stuff you discover. For the rest, who, just want to download a package, install it and be set and good to go. Hold your pretty horses a day or two, between arend and me we will see you right in a week or so. I’m just really busy till the weekend, so I cannot finish the job as well as I wish. for super eager beavers I’m posting my “as is” mapping file to Arend. Post updated, thanks to Sir S.
The main app now scrolls the “button pressed” and “commands to VLC” fields to the last item. I have subs working fine now, but it still pops up the VLC pref box whenever I hit the button……but not when it’s in fullscreen, so I guess that’s all that matters. I wanted to point out that my main remote, an HP, doesn’t have the yellow, blue, green, & red buttons, just FYI. I have the HP remote, 2 regular Xbox 360 remotes, and 2 Logitech Harmony remotes (one XBox 360 and one regular), so I guess 4 out of 5 with the colored buttons aint bad. Do all MCE remotes come with those now? Not sure about other remotes, I have the one in the picture. BTW, I don’t get any pref box on the “key key-subtitle-track” command. Maybe this is a preference setting somewhere in VLC. Just thought you might find that amusing. hehe, only in HP though, I don’t have that button. Your download link doesn’t appear to be working. I had to download from the directory. Very strange, It works just great over here. Just to let you know my setup. First, we use Media Portal, but I need DXVA (Video Acceleration) and Subtitles and this does not work well, regardless which Codec Pack I try. Either VLC or MPC-HC do play with Subtitles and DXVA. I always felt VLC had the edgo on picture quality (especially on my 80″ Projector), but remote control was much harder than MPC-HC for which Intelliremote had a usable profile and Eventghost was too hard work… ;-). So Arend’s initiative came just right. My setup now uses VLC as external Player in MediaPortal. I have set VLC’s main interface (use settings – all – interface – main interface) set to “remote control interface”. I also set in Playlist the “Play & Exit” parameter, so VLC plays the file and then returns to Media Portal. In the Video Section it is worth disabling “Show Media Title on Video”, which omits the display of the file-name. All this means there are in normal operation never any VLC Windows or Menus, the integration with Media Portal is practically seamless. I have some mappings that differ slightly from the above posted. The main one is that stop and back are mapped as “quit”. This way I get straight back to Media Portal. Anyway, I just thought someone might be interrested. My Remote is the quite snazzy one that ships with the OrigenAE Cases (OEM by Philips I believe) and the Media PC is in an OrigenAE S16T case, with a fanless Via motherboard and Pico PSU (so completely fanless), hence the need for DXVA (the CPU is too weedy to decode video streams without hardware help). Nice htpc you have there. I might wrap this post up, clean it a bit and post your specific MediaPortal mappings for anyone interested. It would be nice to receive your file once the dust settles. Is there a way to get the time elapsed/time remaining to show on screen with a button push, the same way it does when you rewind (but without rewinding)? On my TV, the real VLC box you get when you hit “info” with the current mapping is too small to really read. Sure, use: “key key-position” as the command. Amazing! It works out of the box with an Acer MCE Remote! Great work!! Yep, that can be a problem. Not sure what options one has besides mapping the command to another button. I’ve tried with my Acer MCE Remote built in, but unfortunely it didn’t work. This application queries all USB devices to find an IR receiver. Your built-in IR receiver probably does not connect to an internal USB port. sorry again! it’s not my lucky day! now I’ve tried again and it works perfectly! the CIR devise builtin and my acer MCE remote, could be added to the compatibily list! in next days I will try to map some commands to better improve the experience! Wonderful! It would be great if you could share your device id. That way I can update the list of compatible devices. tell me how to do, I will be glad to give all the information you may need! You mentioned “the CIR devise builtin and my acer MCE remote, could be added to the compatibily list!” I assumed you added your device to the file “eHome Infrared Transceiver List XP.xml” if this is the case, could you send me your modified “eHome Infrared Transceiver List XP.xml” ? no no, it simply works with your configuration! I didn’t change anything! What does the MSI installer actually install? What I’m wanting to do is to be able to map the keys to my URC MX-980. Do you have the hex equivalents for the keys? What does the app say when you push the other buttons? Do all the buttons work in Windows Media Player? Glad you got it up & running! It does everything I’ve tried to do with it, besides fast forwarding & rewinding correctly. What issues were you having with AVIs? As for the web player issues, I wonder if they have keyboard shortcuts? I’m sure somebody could program a remote app that at least does that. I would advice to use putty to check if VLC is listening on port 8765 and listening to commands. It’s a standalone application, no need to install. In putty, set the connection to raw, host to 127.0.0.1 and port of course to 8765. Play a file and then type for example pause, or info in putty’s connection window. I’ve never used Putty before, so maybe I’m missing a setting for the test to work. the window kept closing so I put (*) Never for close window on exit. Just to be sure. VLC is configured like the screenshots in these pictcures ? You will have to restart VLC after these changes. The PuTTY settings look fine. It’s VLC that needs attention. Somehow I missed the step to “Check “Remote control interface””, instead I had pushed the [+] to expand the “Main Interfaces” and filled in the rest correctly. It now seems to be working fine – the 1st screen shot showed me my error. Yeah, that same thing got me for about 5 minutes when I recently reinstalled. Looks like there is room for improvement in the documentation section. I will update the post with the screen shots. Thanks, waiting for the remote to arrive 😉 can’t wait to try the mod out. Np, let me know how it works out. Would be able to mod your app to accept a user defined rc port number instead of 8765? No problem. I hope to have something ready in about 5 hours. I think it makes sense to also allow for the ip address to be user defined. This new version will not import your old custom mappings. If you don’t need user defined ip/port settings, you probably don’t need to update. Error: Unable to locate application file ‘Setup.msi’. Yes, the msi works fine. I tested the user-defined IP address and port number, and they both work great. Nice! If you would like, I may be able to send you some code that would allow hostname to be used as substitute for IP address. I was thinking this feature is going to be used mostly in a home network without DNS configured. Wouldn’t an IP address be better for this use case? Maybe both IP and hostname should be possible. Makes sense. I will look into this. Thank you for the code snippet. The device status in earlier versions is less reliable. Please make sure VLC accepts commands on port 8765.
cery well done! I love your little tool and use it very often. But unfortunately it seems to be a little buggy (or it´s me for not getting it to work properly). When your program is running and I go to the Media Centers music library, the Center missunderstands some commands. Pressing the skip-button, doesn´t work in the first place and then finally is interpreted as a “Stop”-command. After having quit your program everything works fine again. The second thing is, that I´m not able to fast forward the movies in VLC, when having started it out of Media Browser. When I start VLC from the explorer or the desktop, it seems to work fine (10 second jumps). Do you have any suggestions, to solve this problems? But apart from that, it´s a fantastic small piece of software. Thank you very much! Thanks. I just tested your first problem and MCE does indeed act strange when mceRemote2VLC is running. I do not fully understand why this happens since the remote buttons are not trapped or altered in any way. I might be able to prevent this from happening by temporary disabling mceRemote2VLC when it detects MCE running as the foreground application. I am not sure how this will affect other users as they may rely on the current behavior. (not sure about the use case though) Maybe this should be an option in the settings panel. I suppose it requires a continues polling of the foreground window. – Did you set VLC to to listen for rc commands using VLC’s settings page ? – Or perhaps by adding the –rc-host your_host:port flags ? – Windows 7 / Vista / XP? – mceRemote2VLC beta, or 1.0? Thank you very much for your fast answer and testings. If I understand you in the right way, you wanna know, if VLC does react at all. If you mean that, I can say: yes it does it very well. Even when I start it out of Media Browser, I can switch between subtitles and languages (I reconfigured the buttons for this commands, because, the defaults were making trouble with Media Control). The only thing, that doesn´t work (out of Media Browser), is the fast forward (rewind). Sometimes (in very rare cases) it makes the 10 seconds jump, but mostly it makes the VLC to drop to the frame, where it was right in the moment, I pushed the fast forward. VLC doesn´t have this behaviour, when beeing launched without Media Browser. I deinstalled Media Controll, cause after having your fine tool, I don´t need it anymore, but it had no effect. I´m running Windows 7 64bit and the latest version, you posted in the comments. But if you could fix the MCE Problems (perhaps as an option in the settings), it would be great. I think your second problem is going to be the hard one as I do not know what is causing VLC to miss the request. Do all the forward button presses show up in the “Commands to VLC” box? It seems to be a problem of VLC itself. So don´t worry. Even when i just use the hotkeys on my keyboard, VLC reacts in an inkonsistent way. Pressing the button for a 10 sec skip (shift right) it jumps 10 secs for the first time. If I repeat this too fast, it jumps sometimes 7 secs, sometimes not at all. To avoid this behaviour, I redifined my skip and replay buttons on the remote, to make longer jumps, cause I don´t use the playlist and have therefore the skip button unused. But if it would be possible to solve my first problem, I would be really glad. nice tool. it works perfectly. but can you please add an option, to start this tool minimized at windows startup? No problem, but it will be placed on the todo-list. – fix remote issue’s when MCE has focus. First of all, I just upograded VLC to V1.1.2. In this (and I suppose future) Version the RC interface has been depreciated. For the time being it remains available as “oldrc”. It may be due to the replacement of “RC” with “OLDRC” that VLC connection status is now always “offline” even though VLC received remote commands correctly. Also, when installing this version of VLC you must uninstall the previous version AND use “clear cache and settings” and manually re-set everything. If you keep the old settings with the interface setting for RC VLC will more or less lock up. I would actually suggest that Arend submits the work here to the VLC team for inclusion with VLC as build in interface. Pending that I can think of a few more things. I do not use VLC with MCE/MyMovies, but Media Portal, so I do not have the related issues. However, it may be desirable that MCERemote2VLC does trap the MCE Remote commands when VLC is playing media in the foreground. As it stands some buttons cause misbehaviour in MP in the background. For starting minimised, simply create the icon for starting MCERemote2VLC with the window set to minimised. Adding a setting item “start with windows” that creates an icon-copy in startup would help some users. For MCE/MyMovies I think the MCE Remote’s “Green Button” shold bring MCE back. Is so, maybe a setting “send green button” on Stop/Quit option could fix the current irritation easily. Finally, I would suggest including a checkbox that allows forced setting of VLC for Interface etc., as I can see this an issue for many people. Perhaps even a second checkbox to set the settings for MyMovies to use VLC. The “%filename%” part brings in the file being played, the rest forces VLC to the correct interface settings all the time. My main VLC Icon has extra arguments of -I qt appended, so I always get a normal copy of VLC started if I explicitly invoke it (to tweak some settings or such). Thanks. The entire RC interface of VLC seems to be deprecated in VLC 1.1. I think in favor of the HTTP interface. I will have to look into that too. Great utility, I am unable to see that it is connecting to the VLC player but not the remote device. I have a nero liquid tv remote. In the VLC key settings, some keys are recoginized by the application but not ff/rew. Is there a way you can add the hardware support for this ir usb dongle? I would love to help you but I would probably need access to that specific remote. I’m also busy with a few commercial projects, you will understand that is my first priority. – If the remote works in MediaPortal I might be able to make it work in mceRemote2VLC. But a quick check suggest this is not the case. – You might want to try EventGhost It has support for VLC and supports a wide range of remotes. It’s just a bit harder to configure. First of all thanks for the great work. I have an issue though. 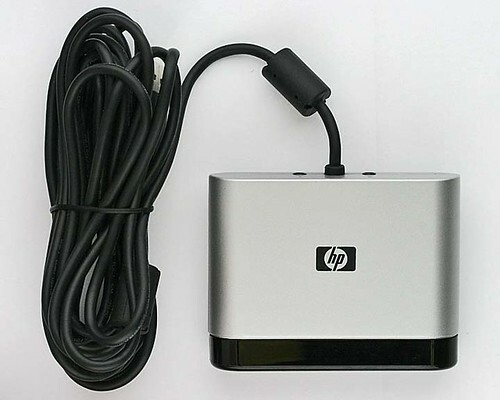 I’m using a HP dv5 with vista and I have an HP IR remote. All the buttons work fine except for the play button. The button is recognized as “button 110” by the soft, I tried mapping it following the instructions but it won’t work. I looked up on some forums and other people have the same kind of issue with the HP remote and the play button. I’m trying my luck here to see if anyone has any ideas. Sorry to hear your remote doesn’t work properly. Are you saying pressing the button gives you a “button 101” message in the “button pressed” log box inside mceRemote2VLC? If this is the case, I think a small update can make it work. I don’t think VLC has such a plugin folder like iTunes where you can drop a dll and it’s pickud up. VLC 1.1. however introduced new add-ons and script framework options. So it integration might be possible now. I however lack the time to implement this, at least for the coming months. I am aware of intelliremote. Sounds like a great app, but I don’t have a need for it. My app does everything I need. And besides, it’s not free. I tried to use Intelliremote for a while (with MPC-HC). I gave up. It takes way too much to set up to work correctly to the kind of level I get easily with MCERemote2VLC and it is expensive for a simple remote control helper app with so little real support for applications. In fact, some of my earlier suggestions to Arend directly derived from my frustration with Intelliremote. Thank you for the work – much appreciated…! First thanks for your great work. I use VLC player 1.1.0 and Win7x64 . I download the setup.msi and install it. Then I made your recommended settings in VLC. Then I started manually mceRemote2vlc.exe and VLC player. My Remote Harmony One with “MCE” profile works well in VLC player, great job, great thanks. But mceRemote2vlc.exe start every time manually is not for lazy people like me. So I created shortcut and copied to Windows startup. When the PC restarts mceRemote2vlc starts now, but first small problem: It starts in the “window mode” not as a tray, i have to resize it manually. there is a solution? But now the big problem: I use Win7 MCE. To play my movie collection, I use the plugin “MyMovies”. In the MyMovies configuration I choose VLC player as the “external players” because he plays well MKV etc.. WMP12/7MC as “Windows Media standard” can not do that. When I use the MCE plugin “MyMovies” select a movie and start to, MCE minimized in the taskbar, start Vlc player and go into full screen mode, the movie is beautiful and everything can be used with MCE remote. If the movie is over or I press “Quitt” on the remote, exits and closes VLC player and MCE would have to back to “full screen mode”. Sorry, but MCE is minimized. I found out that it creates the current mceRemote2vlc.exe. Whether it is running in windowed mode or as a tray icon, MCE not maximized. Only when I manually mceRemote2vlc finish to maximize MCE again automatically. This is not very comfortable. Is there a way mceRemote2vlc.exe only at the start of vlc.exe start automatically and at the end of vlc.exe terminate automatically again? Or a different solution to my problem? You have a good point here and as I think about it, your suggestion might even solve other problems people are experiencing while running mceRemote2VLC in tandem with MCE. I’m currently working on a project that requires my undivided attention. But I will definitely look into this in the coming weeks. Together with the option to start minimized as this has been requested before. Thanks for this great tool, but im having a bit of trouble in mce itself with the remote commands. There is a known incompatibility while running MCE and mceRemote2VLC simultaneously. I will try to fix this by only starting mceRemote2VLC when VLC is started as an external player. It will probably take about a month before a fix is released. This works wonderfully but is there any way to give priority to vlc when using media center? Right now i have vlc working as an external player so when i play .mkv’s the media browser plugin minimizes media center and opens vlc but my remote is still controlling media center. Any help would be great. I’m using windows 7. Some remote buttons are hard wired and will always reach media center whether it has focus or not. These buttons should not be used to control vlc when they have to run at the same time. The play buttons for instance will start a recording even if mce does not have have focus if media center is in “Recorded TV” Nothing happens when it is on it’s main screen. This might be trial and error before you have a working set (I don’t use vlc and mce at the same time). On a related note, I hope to start working on this project again in September/Oktober. I just don’t have the time right now. “When I use the MCE plugin “MyMovies” select a movie and start to, MCE minimized in the taskbar, start Vlc player and go into full screen mode, the movie is beautiful and everything can be used with MCE remote. If the movie is over or I press “Quitt” on the remote, exits and closes VLC player and MCE would have to back to “full screen mode”. Sorry, but MCE is minimized. I hope Arend make a solution for this, but we must give him time…. PS: I us MCE in Full-Screen-Modus, not Window-Modus. Hope its help you. Hello, my first time trying the software, as it looks like it has promise. I tried the s/w upon a few trials and errors, and it managed to rewind, fast forward and the like; so, I will be checking back for updates. I have a multitude of players, GOM which I use constantly, Windows Media Center, which I never use at all, VLC which I use to an extent, and WinAmp I never use at all. I just like to use remote to rewind and fast/forward without having to use keyboard/mouse to navigate. Thank you so much for this, and will check back for more info or updates. Okay folks I know it has been quiet lately, a big project is reaching it’s deadline, still much to do but there is light at the end of the tunnel 🙂 I will review all comments and decide the best course of action somewhere mid September. @Arend: What an excellent piece of software!! Thank you so much. Just what we all needed. Worked out of the “box”. I cleaned off WMC (MCE) from my HP laptop only a few months after I got it. It was interfering with almost everything, including making my laptop excruciatingly slow. While the MCE TV database was conflicting with a variety of normal Win updates. In addition the TV card that came with it, never worked and never will, as HP is pretending it doesn’t exist. However, it came with 2 remote controls! Both which I can now use for controlling my PC and now also VLC! Looking forward to starting up VLC with mceRemote2VLC automatically and minimized. Finally, it would be a great idea (as Sir Shagsalot mentioned) to have your app included with VLC. I might ditch WMC/MCE too for it is getting more and more unstable here. Doesn’t work nice in multi-task/monitor environments and the list goes on. The only thing left is ease of installation/setup and eye candy. Anyway, I expect to implement minimized startup this week. Just in time! I uploaded a new version with a start minimized option in the settings dialog. Just installed the latest version, but when I tried to open it, it crashed immediately. I’m running Windows 7 (64-bit). I uploaded a new version which should fix the problem. Please make sure to uninstall the previous version. Hi Arend, thanks for your upgrade. Version 2 works. But I can not find difference with preceding version, except that now mceremote2vlc.exe minimized automatically on request. Thats right, I only added the minimized functionality for now. Concerning your other issue, your problem is that MCE stays minimized even after VLC exits ? I’m not sure if I can help. I don’t see any reason for an MCE-plugin to minimize MCE while an external player is launched. Depending on the plugin used there might be an option to disable this behavior? Arend, MCE not maximized because mceremote2vlc.exe is active. If not mceremote2vlc.exe works, everything works perfectly. The reason is sure that the “focus” on the remote control mceremote2vlc.exe, rather than on MCE. If I manually maximize MCE, the “focus” of the remote control is back to MCE. One solution would be mceremote2vlc.exe automatically start and stop with vlc.exe. Can you build it? Please. Ralf: Do you start mceRemote2VLC from the MCE plugin ? I tried with the Media Browser plugin and as long as VLC closes after playing, MCE is maximized again, this is a configuration option, or parameter to VLC (–play-and-exit) or use the Power2 button on the remote to send the quit command to VLC. I’m also wondering if there is a way to automatically run/stop mceremote along with VLC. Not implemented. It could be done with a script that starts mceremote, then vlc, waits until you exit vlc and then kills mceremote. Guys I finally managed to fix the problem where mceRemote2VLC interferes with the remote control of MCE. It should be fixed now, but UNINSTALL the previous version before you update, alongside the download link is an explanation on how to keep your mappings. (if you made customizations) Please give it a try and let me know how it works out. How should I modify this so mceRemote2vlc.exe with start / end will be? mceRemote2VLC should just run in the background. Do not start it as part of an external player configuration. I will install MyMovies and see what’s going on. I installed MyMovies, but using an external player requires a paid subscription so I removed it. All I can say is that it works in Media Browser. And I believe this has more to do with MyMovies or VLC settings then with mceRemote2VLC. Sorry, this blog/website may not post xml command. tested the new version and it seems to work very well. No more conflicts with MCE and also minimizing itself automatically after starting. Very well done and big thanks from Germany! tried your tool and stuck with some strange behavior. When vlc plays in fullscreen and I put just a single click on the fullscreen with the mouse… NO commands seem to get through! As soon as I take the focus from the fullscreen away (I have 2 monitors) by clicking on and activating a window on the second screen… vlc receives all commands. Ain’t that weird since the commands come over TCP and shouldn’t be bothered by focus or nonfocus of a window?? THX for a quick response! It might not be that strange after all. When you don’t use mceRemote2vlc the play and pause button still work, the remote works as a regular keyboard press. So when vlc has focus and we press for example the Play button, vlc will receive the play instruction over it’s rc interface and by keyboard. The only option would be to detect weather vlc has (keyboard) focus or not, then decide what to do. For play and pause we should probably not send the commands. For now pressing the pause button twice (rapidly) pauses VLC when it has focus. I will think about this a bit more. So you do think that these two mentioned input methods interfere with each other? I’m not so into coding/programming, but no matter what commands come to the vlc task, it should be able to handle it, ‘cause in case there are two commands within a defined range of milliseconds, it still should decide to handle only one, but as we have learned …probably not. btw. : even if vlc is out of focus, so where only mceRemote2vlc should be working, I realize that pressing play ain’t the opposite of pressing pause. Which means that if I pressed “pause” while watching a video, I could only continue watching by pressing “pause” again and not play!! I know. for this to work i would have to query vlc’s current state in order to decide whether to send play or pause command. maybe when i rewrite the part for the now deprecated rc-interface. With either an older CyberLink remote or a new VRC-1100 MCE Remote I get “Device Status: Remote not found” I’m running Win7 64 bit and have made sure NetFramework 3.5 is fully enabled. 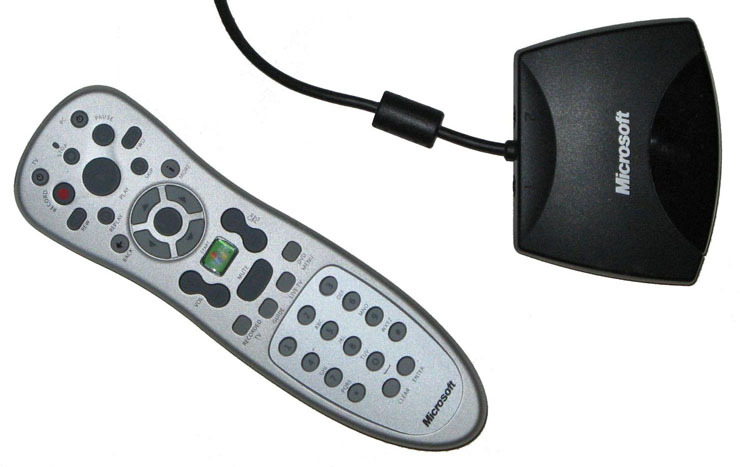 Both remotes work with Windows Media Center. I’m afraid the same holds true for the CyberLink remote. I installed MCERemote2VLC, I tested it and it worked great. However, the next day when I tried it, it no longer worked. So I uninstalled it entirely. But now my remote control doesn’t work in Windows Media Center anymore. Any ideas what may have happened? Sorry to about your trouble. I however cannot relate your issues to something mceRemote2VLC might cause. It doesn’t change any settings on the host. No registry settings, no files are deleted etc. So are you absolutely sure you haven’t done anything else that might have caused it ? Love this program. Question: When I first installed it, I was using the default vlc skin and everything worked great. When I switched to another skin, the remote stopped working with vlc (still works with MCE). Any ideas? I’ll try that and get back to you. Thanks! OK. This is interesting. First, I uninstalled the app. When I went to the directory you mentioned, it wasn’t there. No biggie. I reinstalled, then tested with the same skin and the remote did not work. However, just messing around, under Preferences-Interface, I selected ‘Use Native Style’, then everything worked. I went back to my skin, which deselects ‘Use Native Style’, and the remote stopped working. Well, as long as it works. If you have any insight as to what’s going on, I’d be curious. Again, thanks for the help and a cool little utility. Which skin are you using ? This might be skin-specific and is probably more related to vlc then my prog. But I’m curious too. Hi, trying to use this for the first time. I have setup vlc as per the screen shots above. I get a Device Status of ‘connected’. However, the VLC Connection Status is ‘Unable to connect’. Any thoughts on what else I might need to configure? Well it should be able to connect if setup according to the screen shot. The only option left is to check VLC really is listening on 127.0.0.1 port 8765. You can do this with a program like Putty. With PuTTy select connection type telnet or raw and type “play” while having a song on pause in VLC. It should start playing. There are more details about connecting with putty in the comments. I realize this is an old post, but I had the same problem. The solution is to go to Tools > Preferences > Choose “All” > Interface > click on Main interfaces. Make sure you have “Remote control interface” checked. Restart VLC and mceRemote2vlc. Is it possible for a button to fast forward until the play button is pressed? I’d also like the same functions for rewind. My files do not contain chapters. You could change this (or map a new key) to “key-jump+medium”, or “key-jump+long” medium stands for 1 minute and I haven’t tried long. 2) try the “fastfoward” command, or “faster” command. “fastforward” forwards as fast as possible. “faster” increases the playing speed each time you send this command. The drawback with these commands is that the play button/command does not reset vlc to normal playing speed. You will have to map an additional button to “normal” in order to play at regular speed again. 1) I would like to map a new key to “key-jump+medium”. How do I do this? I need basic instructions please. Why does the forward (skip 10 seconds) button and back button not work correctly for .tp files? I worked out how to map a new key. Using the forward and back (skip) buttons do not work properly with .tp files. They skip any random length or do not work at all. This is still the case if I change the file extension to .mpg. I watch a lot of .tp files. Is there a fix for this? I am afraid you have to ask that question in the vlc forums. mceRemote2Vlc justs sends the command and then hopes for the best. It does not implement the forwarding/skipping itself. Hi Arend: I’m using a generic WMC remote which is USB PnP, no drivers to install, on Win7 64. I have installed mceRemote2vlc and followed your instructions, but I’m only getting responses from Stop, Play, Pause, and Rew, just as I was before installing. When I run mceRemote2vlc from the start menu, the window says: “Device Status: Remote not found” Do I take that to mean I’ve done something wrong or that this is just one of those remotes that isn’t supported? Thanks. It may not be supported as there isn’t much you can do wrong. Do you have a model or type number ? Interestingly, it also controlled MediaMonkey right out of the package, but VLC is my preferred player. Thanks. This blog has issues with xml/html-like data in comments. I tried to show you some parts of the ehome.xml file but that didn’t work. Anyway, it was worth a shot. I ordered the exact same remote because it is dirt cheap and my current one broke yesterday. I will let you know how that works out. Please let me know if it works for you. I’m sure you’ll like the remote–it even has a mode to let you move the mouse cursor and use right and left clicks. In the meantime I’ve installed XBMC and the remote controls it perfectly. I’ve been using XBMC on an original XBox for about a year, not sure why I didn’t think to try it on a PC. Ok, the remote arrived a week or so ago. But I got my old (original Microsoft remote) back to live and gave the new one away. I haven’t even tried it out. Sorry! Hello i just bought a Vista remote control <- yes the name of it…. I have no problem using it in media portal or MCE on windows 7. However i cannot get it to work in your little nifty nice tool :). I have added these vendor id because i was not sure wich one it 100% was. Theres no driver required for it to work. it just uses the built in one in microsoft and then its working. Just out of the box. I manage to get VLC connected to your tool but thats it. Not the remote. Happy New Year. This tool uses Media Portal as it’s base for detecting and communicating with the remote. But i did “hack away” at the source and removed everything but the MCE remote support. Maybe your remote is supported using one of the other “drivers” in MP. Did you buy it in a webshop? Do you have a link to this remote ? Anyway, since my last post, I’ve installed a new OS (Windows 7.) So I thought I’d try this again. It works in VLC, but in a very limited way. That is, the “Play” “Pause” and “Stop” buttons work as they’re supposed to, but no other buttons do what they’re supposed to. So obviously, I’m assuming that there’s something that I have overlooked (both this time and last time) since the functionality for both times are identical. Also [and unrelated] I can’t get my own mappings to register. That is, in the “Create mapping” box, I press a button on the remote control; it shows that I pressed it. But when I attempt to map the VLC command from the pull-down, the “Button Pressed:” pull-down forces itself to the default, ultimately not allowing custom remappings (I hope that makes sense.) Maybe there’s something I’m misunderstanding. If only the “Play” “Pause” and “Stop” buttons work then it doesn’t work at all. These buttons will work regardless of mceremote2vlc. What is the connection state, does it detect the device ? Does it connect to VLC? It looks like a connection problem. Did you verify VLC is listening on the correct port with PuTTY ? The mapping UI is flawed I agree. You best select or press the appropriate button, then check in the drop down box for the command you would like it to be mapped to. Then don’t select that command but write it in the drop down box. :-S. It shouldn’t update both ways but only select the current command based on the button pressed or selected. I will fix this in the next release. I have no idea what I did differently, but now it works. But entirely for your information (for whatever it may be worth to you) back when the “Play” “Pause” and “Stop” buttons were the only working buttons, “Device status” was “Connected” and “VLC connection status” was “Connected” as well. And the “Button pressed” field correctly showed any buttons that I pressed. However, the “Commands to VLC” field remained blank. ????? Weird, but let me know if it happens again. I just tried to get the tool working with VLC and got a little frustrated. It’s accepting the keys pressed on my remote control, it’s connected with VLC and it sends it’s commands to VLC. So what’s the problem for me? When mceRemote2VLC has got the focus, it’s working well. But if VLC has got the focus, VLC acts like if mceRemote2VLC is not installed at all. VLC is simply responding with it’s default actions when I press remote control buttons. I don’t have a clue where they are configured within VLC or how to avoid it. BTW, in these situations also mceRemote2VLC indicates that it sends the proper commands to VLC. Simply VLC is doing it’s own stuff. I would appreciate any help or comments. p.s. I also realized that the mapping dialog has some flaws. But the workaround described above is helping. Stefan, I will look into this soon. Stefan, can you give me a bit more details about your setup ? What Windows version, latest VLC ? I don’t experience this behavior so it’s hard to pinpoint the problem. Arend, it’s a Windows 7 x86. VLC is version 1.1.5. Probably I’ll try 1.1.7 later. Are there any logs which might be helpful? As I said, everything is ok when mce2RemoteVLC has got the focus. But that’s rarely the case, especially when running VLC in fullscreen mode. Try 1.1.7 even though I don’t think it will make a difference. Do you have a “genuine” Microsoft remote ? There are no logging options. The only think to find out whether this is VLC or mceRemote2VLC fault is probably by using PuTTY from a remote machine and see if VLC responds to commands when in focus. I’ve Just tried to install this software and cannot get it to work, Both devices are listed asd connected, but it has no effect on VLC. Am i doing soimething wrong? Do you see the commands appear in the box “Commands to VLC:” ? Windows 7 ? (x86/x64), which version of VLC? Do you have a playlist ? That’s strange. To me this looks like VLC is not responding properly. You can test if this is the case with PuTTY and connect to VLC directly using the RAW option. Make sure mceRemote2VLC is not running. If this doesn’t work then it must be a VLC problem. Hello Arend, I’m using a Logitech Harmony One acting as a Microsoft remote in this situation. Don’t worry too much about this. I tried this in the context with Windows Media Center 7+Media Browser and VLC as external player. I did use MPC-HC first without remote control problems. But this brought up other issues. Since a few days I’m testing Mediaportal. Remote control is no issue there and the internal player does not need to be exchanged as far as I can tell at the moment. So, I won’t pursue the VLC problem at the moment. Thank you for your support anyway! ok, thanks for the info. I will keep an eye on issues like these. Exactly what i’ve been searching for! I installed .NET Framework 3.5 and also mceRemote. Do you know a solution for it? The remote might not be supported. Do you know the type/model ? Dunno the model but it’s a remote which came with my acer aspire PC. Hmm, I’m afraid your remote is not supported..
At first I wanted to use VLC (if I could get the remote to work) instead of WMC because I had so many problems with codecs (mostly solved in the meantime with a lot of trial & error with the Shark007 codecs). But I prefer WMC due to the excellent 10-ft. interface that the Media Browser plug-in provides. I later realized that Media Browser could be used to activate an external player like VLC, and in addition to having no codec problems, the playback quality is better and sharper in VLC (due to the range of color adjustments and especially due to the sharpening filter). About a month ago, I installed the mceRemote2VLC software and configured it as best I could per your instructions. But the only remote functions that worked with VLC were play and pause. This remote installed without any drivers and works fine to control WMC. Do you think this remote incompatible with mceRemote2VLC ? It is my understanding that this remote (like most others) is basically a wireless keyboard with only some of the keys. What I don’t understand why the skip or fast forward/reverse commands which work fine for WMC would be different for VLC, since those functions work if using an actual keyboard. In your Ja. 26th post, you mention a new release. Has anything new been released in the last month? Hi, nothing new has been released. Does mceRemote2Vlc detect your remote as seen by “Device status:” ? What happens if you press the remote buttons in the “create mapping” configuration page ? If it does not detect the remote then I can’t do much about it. Maybe later when I have a bit more time at my hands I can look into supporting plain keyboards. Hi! May I say – awesome utility! Many thanks. I’ve been playing around with mappings, and everything seems to be fine. Except I’m struggling with chapter points in mkv files. I’ve tried chapter_n, key-chapter-next and key-next. All seem to have the same effect – they just restart playing the file from the beginning (there’s only one file in the playlist!). Is there a code I can use to select chapter points in this sort of file? Hi Dan, Did you use “key key-chapter-next” ? The extra “key” is required. I just tested this with a matroska file with chapters and it worked fine. Before that I added chapters using mkvtoolnix, but that file behaved like you described. I thought I might have done something wrong, but maybe VLC does not support this type of chapters. If that doesn’t work it must be VLC/the file. I’ve problems with next chapter and previous chapter commands (chapter_n, chapter_p, key key-chapter-next and key key-chapter-prev). I use Windows7-x64 NL, VLC 1.1.10, Hauppauge MCE remote. I tried next chapter on several DVD rips. VLC shortcut keys shift-n and shift-p work normally on this DVD-rips, but passing chapter_n via mceRemote2vlc won’t work. As far as I can see, other VLC commands, par example: chapter 1, chapter 2 etc, all work fine. Do you have any clue what causes this flaw? What I noticed is, that as soon as I check “Remote control interface” in VLC’s Main Interfaces, “oldrc” comes up, in stead of “rc”. New information: This problem is not related to certain vlc commands like chapter_n, but is related to some mce remote buttons which, even though they are mapped by mceRemote2vlc, they are intercepted or interfered by mce. I don´t want to uninstall mce, because I use mce for playing photo´s. When I map chapter_n under Numpad1 or Clear, it works correct. When I map chapter_n under ChannelUp or Skip, it won’t work. Next question, how do I temporary switch off the interference with mce? Than I can use all mce remote buttons for VLC. I’m having a problem too. I’m fiiiinally upgrading to the newest version (wanna try to put it in my startup since it auto-minimizes now), and it stopped working. It acknowledges the first button I press and then stops, and not even that first button press is acknowledged by VLC. I did copy my old mapping file over, in case that helps. Also, even when I copy the IP/Port from VLC to Settings, if I close your app and reopen, it’s no longer there. The db of earlier versions may not be compatible with the current one. I believe only the previous version allows you to copy the old database. A clean install maybe the only way forward. Is there any way around this using mceRemote2vlc? I also have a small problem. I set up everything just how you’ve explained it, then I open VLC and mceremote2vlc. The device and VLC connection are both connected but the Programm is not responding to my remote control … when I want to do the mappings nothing happens :(((. I’m using win7 and the hauppauge MCE remote. Is it the same make / mode ? I have the same problem as Gerrit who posted on 7/14/2011. I use your excellent program coupled with the MediaBrowser plugin for WMC. I m unable to map the chapter_p and chapter_n commands to the previous and skip buttons. Like Gerrit, I am unable to use the buttons he mentions because somehow the commands get intercepted by WMC before they reach your program. No worries though. I set skip and previous to None and mapped chapter_p and chapter_n to the 1 and 3 button. All works well. Hallo! Versteht hier wer auch deutsch? Hab ein Problem: Bei mir tut sich rein garnichts wenn ich ne Taste auf der FB drücke. Hab das auch schon in Eventghost getestet… da müsste ja normalerweise links in der Spalte angezeigt werden, dass ich was drücke (mal von ner richtigen Reaktion (Pause-> Pause) abgesehen. Mein IR Empfägner leuchtet rot, wenn ich was an der FB drück, aber das wars dann leider auch schon. Was mach ich falsch? Hello Kangoo, I don’t know what might be causing your problems. How can I teach the commands from vlc to the remote? What kind of remote do you have (brand/model) ? Does my app recognize your remote ? Does it register the button presses ? Does it work in Windows Media Center ? No, it doesn’t. But I can see the tasks in eventghost and the ir light glows. Not sure what could be the problem, Maybe Eventghost hides the button presses for the rest of the system ? I know it has an option for that, but it’s not enabled by default. Select the button you want to use. ENTER (don’t select) the right command for this task. thanks for the reply, i’ll give it a go. Is there a way to enable short and long skips at the same time (on different buttons, of course)? Sure, you could try playing with the seek command, every button can be programmed. The seek does not seem to work as you say. I was hoping to use skip as key key-jump+long, but it doesn’t seem to work? Indeed, the seek just jumps to the time specified. My bad. I also tried out the medium and long jumps, but they do not seem to work consistently, is that your problem too ? I tried it directly in telnet, so this must be something in VLC rather than the remote app I wrote. Is there a way to launch vlc from a remote command? At this time that’s not possible. I’m having a strange issue. The program is installed correctly and recognizes the remote and, as far as I can tell, sends the commands as it should. However, specifically pressing pause, while pausing like it should, prompts the Preferences window to pop up every time. Is there a simple solution for this? What a fantastic tool! VLC is a welcome relief to what seemed like endless experimentation with codecs for my media center. which allows me to pull an even slightly out-of-sync video into sync in real time. Thanks so much for sharing this valuable tool with us. I too have run into the problem described by Gerrit above, but as I’m running VLC as an alternate player from within Windows Media Center 7 I cannot disable it as you suggest. My main problem is with the Replay and Skip buttons which cannot be mapped and, unfortunately, default to “previous” and “next”. This might not be so much of a problem except that these buttons are used in Media Center and it’s almost impossible to break the habit of using them when in VLC. Since pressing either of these buttons ends the current playback it’s a big problem in a WMC setting. That’s going to be a tough nut to crack. It must be somehow possible, but it might have to be done at the driver level. Which is not my area of expertise. Another problem is that I currently use a different remote which does not work with this tool..
Arend: Thanks. I posted a query on the Next/Previous problem to the VLC community forum. A VLC developer told me that you cannot suppress the interpretation of these keys in VLC. I suppose a VLC plug-in could be developed to do this, but that’s beyond the scope of my project. I also tried EventGhost, but a bug in the remote control plug-in caused events from the remote to be lost under certain conditions. Yours is still the best solution to this problem. Thanks again. Sorry for asking this here, but couldn’t find a better place on your blog to ask a general question. I really like your math-based spam blocker. Is it a WordPress add-on? Which one? They have a bunch of paid plugins, but this one is free. i have found your soft, but my receiver is not working on it..
i’m using an old “ABIT Media XP bay” with IR remote receiver.. Thanks for the feedback. Must admit I don’t use this software anymore, no updates scheduled.